This is the quilt I made last year in connection with my Quiltmaker 100 block from vol. 7. 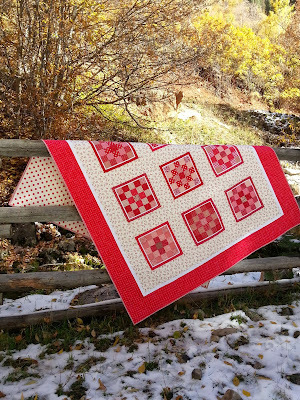 I had sent the quilt off to Colorado to be photographed for the magazine and to be a part of the quilt display in the Quiltmaker headquarters. Now, after almost a year of being gone, it is finally back home! After a quick photo shoot I am packing it up yet again and sending it off to a dear friend. 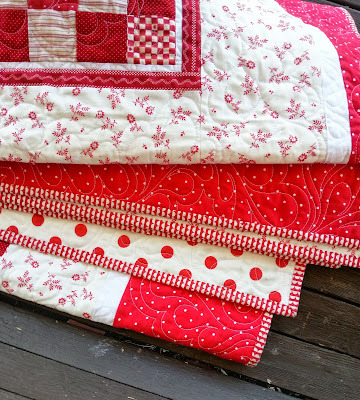 She is a lover of red and will appreciate the surprise for her birthday next month. ...I just hope she isn't a regular reader of my blog! so I will just leave you with some pretty pictures. Can I just say again how much I LOVE red quilts? 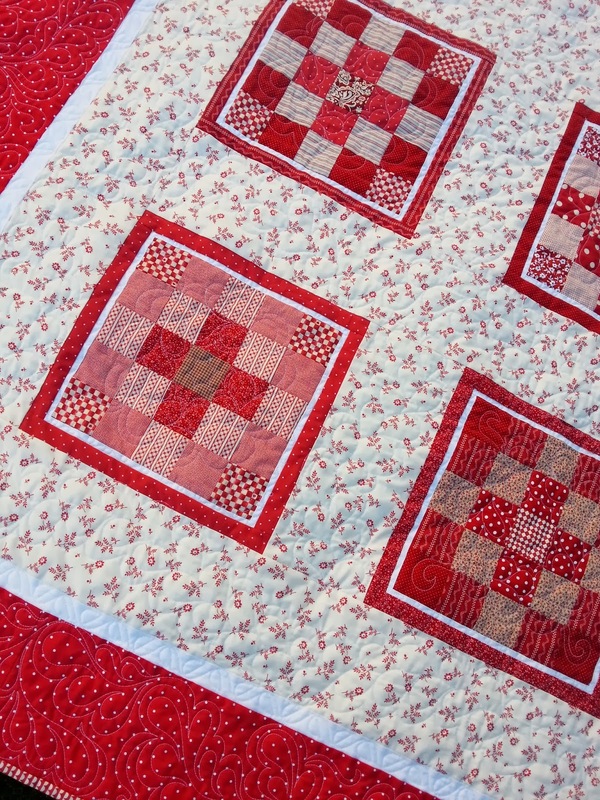 **You can find block directions for this quilt here. Sashing was cut at 5 1/2 inches (finishes at 5"), with a 1 1/2 inch white border (finishes at 1"), and 6 1/2 inch red border (finishes at 6"). 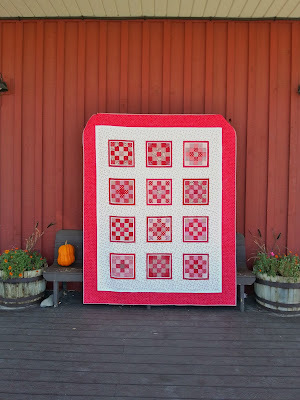 Finished Quilt measures 68 by 84". 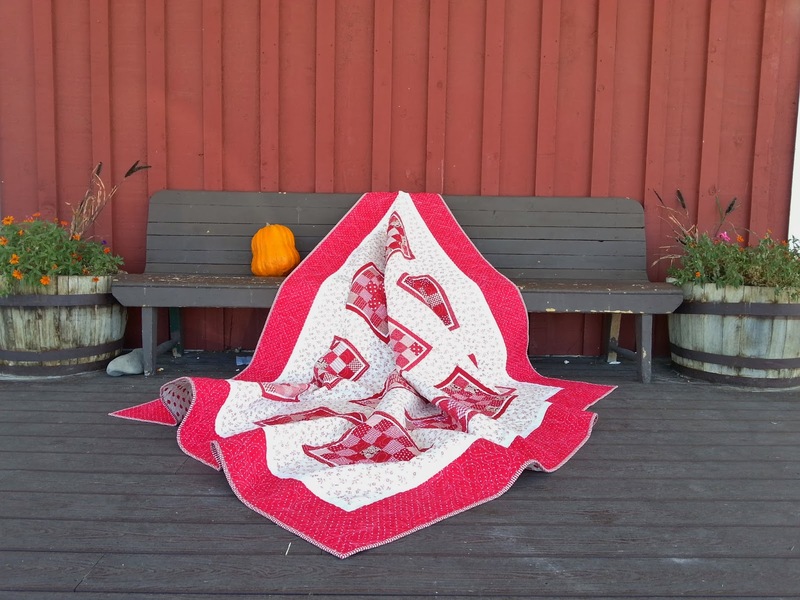 I am usually not a lover of red quilts, but this one is great! I think the uniformity of the whole thing appeals to me. Very nice!